...and then there are the nations of Europe and North America, whose body politics have become host to communist influences, without people even realizing it. It's helpful if you can offer some of your own comments and opinions on the material you're offering here. That helps get a discussion going. Otherwise it just looks like you're spamming to sell a movie or a book. "The 2016 American presidential election was one of the most dramatic in decades. Though voter turnout was a low 58 percent, the campaign trail was full of twists and turns that persisted even after the election. The winner, Republican candidate Donald Trump, found himself besieged by negative media coverage and protests in cities around the nation...."
I agree and thanks for saying something at least, it helps. Like I said though, to get some discussion going, it helps to offer some thoughts of your own. in my opinion, this quote from the book you recommend weighs Satans impact too heavily, although I earnestly believe it IS involved. I also believe it uses demons and “lower level beings” (if that refers to human beings filled with hatred and bile) to effect the changes it wishes to see in us (meaning to drive us away from God). 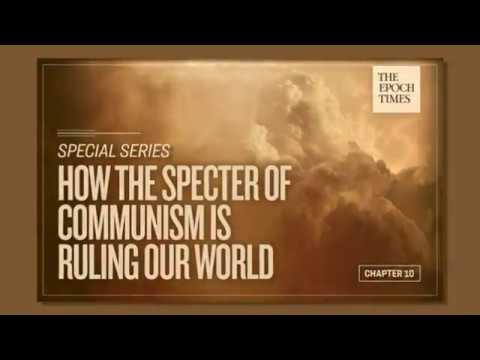 i don’t necessarily believe all socialism or communism is from Satan. As a concept, common ownership (but without the elite privilege class) was quite common in the early church. As a large scale economic construct, however, it doesn’t work in practice. 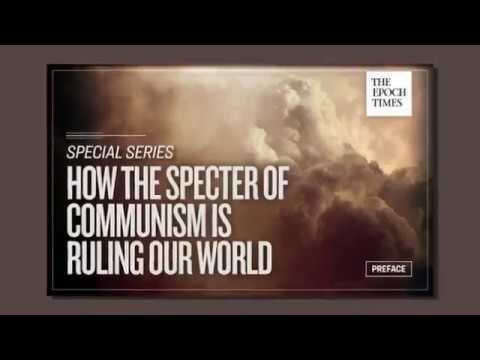 "In the United States, the communist influence in social justice and modern liberalism have appropriated the concepts of freedom, progress, and tolerance to alter the moral state of society and with it the moral foundations of the law. Using these causes to reject and destroy the law’s moral and religious underpinnings affects what kind of laws can be passed and how they will be interpreted by the judges." I don’t care to read a reproduction of a book. I want to interact with your thoughts about the book. Anyway, this is a historically significant book I'm sharing here, the full chapters in this thread, excerpts in anther. I have another blog titled" It's NOT political.It's biblical.It's Prophetical AND IT'S PERSONAL" elsewhere. An ancient Chinese saying:"You can't see the true face of a mountain when you are in the mountain". We are all in the mountain, but the author of the book is not. I titled the post "State Of Mankind",but when I first read the book, I was thinking mostly not mankind, but my own human-hood. Is there a way for mankind out of this mess we are currently in? If there is, it's not for mankind as a whole, but for each and every individual. Naturally, it would be a number, a percentage in the End. A way out if THIS mess? In short we are stuck with the mess we have made for ourselves. Without Gods mercy & help we are lost. There are those who reject all of this of course. They laugh at, mock & hate us "religious people" and ever hasten our rush, our progression to destruction. , and when it comes... they'll suddenly be believers !! I hope they don’t relent too late. Unlike the political parties that share power or hold power by rotation in Western democracies, the CCP has uncontested authority. It sets its strategic goals in the scope of decades or centuries. A few years after the Party established itself in 1949, it rolled out the slogan “surpass Britain and catch up to America” that prefaced the Great Leap Forward. Later, owing to unfavorable domestic and international situations, the CCP assumed a low profile for decades. After the Tiananmen Massacre, the international community boycotted the Chinese regime. In response, the Party evaluated the situation and concluded that it was still unable to compete directly with the United States. Therefore, it took the path of hiding its strengths and biding its time, rather than attempting to take the lead on the international stage. This was not because the CCP had changed its goals, but because it adopts different strategies according to the circumstances in its struggle to ultimately establish world hegemony. It can be said that the communist specter used the ancient Chinese strategic feint of “openly repairing the plank roads while secretly advancing via the hidden route of Chencang.” The first communist superpower was the Soviet Union, but its ultimate role ended up being to aid the rise and maturation of the Chinese communist regime. Since World War I, the United States has been the most powerful country on earth and serves to maintain international order. Any country that wants to overturn this order must bring down the United States, so in terms of overall strategic considerations, America is the CCP’s main enemy. This has been the case for decades, and the Party has never stopped preparing for an all-out offensive against the United States. The CCP’s global strategy is centered on countering the United States. Arthur Waldron, a professor at the University of Pennsylvania and a China expert, stated at a Senate hearing in 2004 that the Chinese People’s Liberation Army is the only army in the world that is dedicated for anti-U.S. operations. In fact, apart from the PLA, most of the CCP’s diplomatic relations and international activities have the United States as their direct or indirect target. The CCP has taken a comprehensive approach toward succeeding in its attempt to dominate the world. In ideology, it competes with the United States and other countries where there is freedom and democracy. It uses forced technology transfers and intellectual-property theft to close the tech gap and boost its economic confidence. Militarily, it engages in a silent rivalry against the United States by means of asymmetrical and “unrestricted warfare” in places like the South China Sea. It backs North Korea, Iran, and other rogue regimes to impede the United States and NATO. In diplomacy, the CCP regime has promoted its “great peripheral strategy” and the One Belt, One Road plan. It has very quickly expanded its international influence, including neighboring countries as well as countries in Europe, Africa, Oceania, and Latin America, in an attempt to build an international coalition, develop a Chinese-led sphere, and isolate the United States. The CCP has multiple methods to accomplish these goals. It established the Shanghai Cooperation Organization in 1996, the Asian Infrastructure Investment Bank in 2015, and the “16+1” cooperation with Central and Eastern European countries in 2012. It cooperates keenly as part of the five BRICS countries (Brazil, Russia, India, China, and South Africa), and vigorously promotes internationalization of its currency. It seeks to control the formulation of industrial standards (such as those used for the proposed 5G cellular networks) and to dominate public discourse. The CCP regime has taken advantage of the democracy and freedom of the press that exist in the United States and other Western countries to carry out united front operations, spread propaganda, and engage in espionage. This is its attempt to manipulate the United States as much as possible and impose bloodless change from within. Using these tactics, CCP agents bribe U.S. government officials, congressmen, diplomats, and retired military officers. The Party uses economic interests to guide American capitalists to lobby for the Chinese communists and to influence U.S. policy on China. It forces high-tech companies to cooperate with the CCP’s internet censorship and Great Firewall, coerces and incentivizes many in the overseas Chinese communities to serve as fifth columnists, and infiltrates Western think tanks and academic departments. It manipulates these institutions into exercising self-censorship on sensitive topics, effectively adopting the stand of the Communist Party. Chinese companies, which are controlled or influenced by the CCP, have been investing heavily in Hollywood. While developing its influence in various countries to envelop and contain the United States on one hand, on the other, it establishes hidden strongholds on American soil so that it can undermine the United States from within. It has built an extensive network of agents and has fostered splits in U.S. society, posing a serious internal threat. The CCP’s ideology runs on hatred. The patriotism it promotes entails hating Japan, hating Taiwan, hating Tibetans, hating the ethnic minorities of Xinjiang, hating religious believers, hating dissidents, and most importantly, hating the United States. There is a saying among Chinese netizens: “For small problems, blame Japan, and for big ones, blame the United States.” This means that by inciting hatred against foreign foes, the Party helps smooth over public outrage during a crisis. Before the Chinese communists seized power, they repeatedly praised the United States for its friendship with China and for the American democratic system. However, after the CCP set up its regime, it immediately took advantage of the suffering China had undergone in modern history, as well as the eagerness of the people to have a strong nation. The CCP painted itself as China’s savior by stoking hatred against America and other foreign countries. In fact, the CCP does not care about the lives and deaths of the Chinese people, nor does it care about China’s territorial integrity or the sustainable long-term development of the Chinese nation. It is impossible to describe the evilness of how the CCP has persecuted the Chinese people, betrayed China’s sovereignty, destroyed Chinese morality and traditional culture, and squandered China’s future. 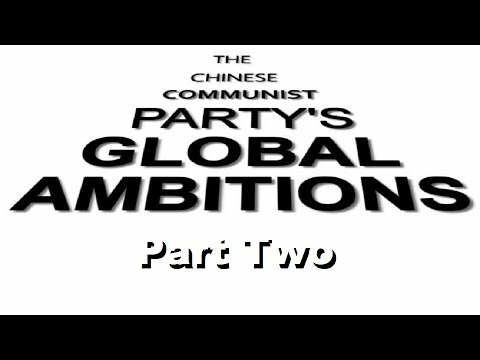 By inciting hatred of foreign countries, the CCP’s aims are first to paint itself as a savior so as to legitimize its brutal rule; second, to use nationalist sentiment to divert public attention in times of crisis; third, to build support for the CCP’s expansionist ambitions and base schemes as a means of supposedly rectifying the humiliations of modern times; and fourth, to use hatred to create the psychological preparedness needed for future wars and to desensitize the public to acts of barbarity. The CCP has indoctrinated the younger generation with hatred of the United States in order to use them as its tools in the effort to supercede America and dominate the world. 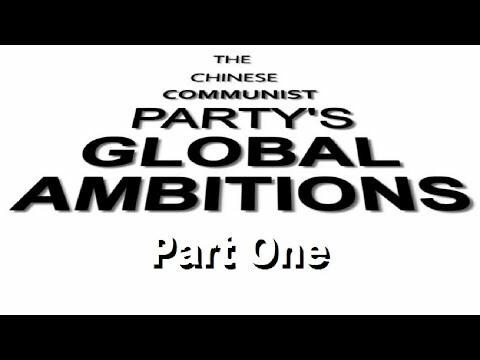 When the time comes, the CCP intends to use China’s youth to infiltrate the United States and its allied democratic states in various fashions, participate in all-out armed conflict, wage unrestricted warfare, and should the need arise, sacrifice themselves in a nuclear holocaust. The jubilant Chinese public reactions following the terrorist attacks of 9/11, indicated that the CCP was making good progress with its propaganda. On major Chinese political and military forums, one sees common sentiments like “China and the United States must have a war” — another indication of the CCP’s success in educating people to hate the United States. This is a long-term, gradual mobilization for war, deliberately planned and systematically carried out by the CCP. The CCP’s hate propaganda is not limited to within China. Internationally, it explicitly or overtly supports rogue regimes and terrorist organizations to fight against the United States, providing them with financial assistance, weapons and equipment, theoretical contributions, tactical training, and public support. The CCP has become the head of an axis of anti-American states and arrogantly steers the global forces of anti-Americanism. In 2008, while the United States was struggling with an economic crisis, China hosted in Beijing the most expensive Olympics Games in history. Dressed in a costume of prosperity, the regime pushed itself onto the international stage. As a result of globalization, the U.S. manufacturing industry declined. In the face of economic difficulties, the United States asked China for help. “America is surviving by borrowing money from us Chinese” became a hot topic in the CCP’s propaganda. “America is going downhill, China is in position to replace it.” Virtually all the Party-controlled media in China touted such headlines, and the ideas even became popular opinion among Western media and scholars. Since 2008, America has showed signs of decline in areas such as economic standing, military strength, and political stability. On the economic front, the United States was pushing universal health care, expanding social benefits, placing climate issues at the center of policy, strengthening environmental monitoring, and placing restrictions on traditional manufacturing business. Still, the green energy industry was defeated by made-in-China products, and U.S. manufacturing continued to be hollowed out. There was no way to counter and guard against China’s attacks in trade and intellectual-property theft.